The ancient Maya civilization existed in the region of present day Mexico and Central America from at least as early as 2600 BC till the Spanish conquest in the 16th century. They were part of the Mesoamerican civilization, which comprised of a number of indigenous cultures in the region. The Maya are most renowned for their mathematics and astronomy which allowed them to create a highly sophisticated calendar. They were highly skilled architectures and engineers who built monumental structures including palaces; astronomical observatories; ballcourts; temple pyramids; remarkably strait elevated roads; and aqueducts using water pressure technology. The Maya also developed the only complete writing system in Mesoamerica and produced rubber several millennia before vulcanization. Here are the 10 major accomplishments of the ancient Maya civilization in various fields including astronomy, mathematics, architecture, engineering and writing. The Maya had a very efficient numeral system with which they could represent very large numbers. It had just three symbols: zero (shell shape), one (a dot) and five (a bar). 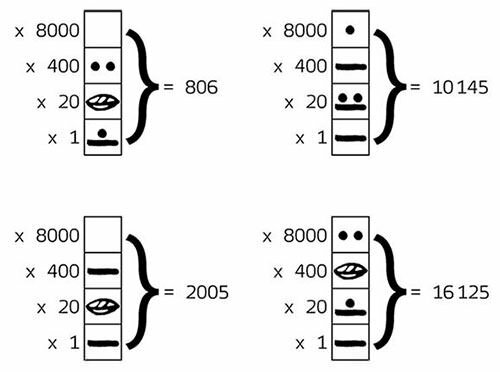 They used these three symbols to represent numbers from 0 to 19 and numbers after 19 were written vertically in powers of 20, using place values. The Maya thus used a base 20 or vigesimal number system. The use of place values and zero made this system akin to the one we use today. With their system being vigesimal, the second position had a value 20 times that of the numeral, the third position had 202 or 400 times the value and so on. The Maya also used shorthand to express large numbers like 2.4.1.9.9, where the numbers 2,4,1,9 and 9 representing coefficients in front of powers of 20. Along with the Hindus of India, the Maya was the earliest civilization to comprehend and use the concept of zero, enabling them to have a proper place value system to represent large numbers and perform calculations efficiently. Maya had developed the concept of zero by 4th century AD. At this time, the Europeans were still struggling with the Roman numeral system which suffered from serious defects including the absence of zero and a place value system. It led to a tedious method for performing calculations and representing large numbers. It was not till 13th century AD that the decimal system and zero of Hindus was introduced to Europe through the Arabs; and it took three more centuries for the Hindu Arabic numeral system to be fully comprehended and used extensively by the Europeans. The Maya scholars and engineers, on the other hand, were not limited by a defective number system leading to great achievements in several fields. The famous Maya calendar was based on the system common in Mesoamerican cultures but it was the Maya who developed the calendar to its maximum sophistication. 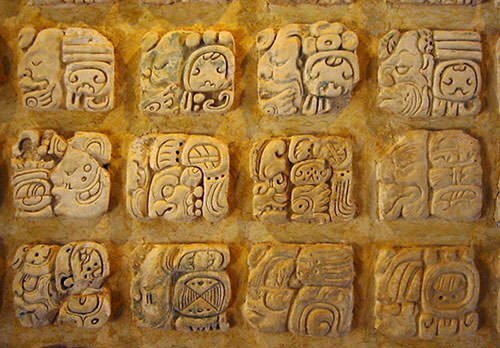 The Maya calendar uses 3 different dating systems: the Tzolkin (divine calendar), the Haab (civil calendar) and the Long Count. 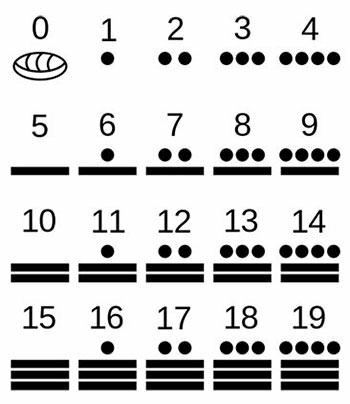 Tzolkin combines a cycle of 20 named days with another cycle of 13 numbers, to produce 260 unique days. There are several theories for the 260 day count of Tzolkin including it being based on the human gestation period; agricultural cycle of the region; and positions of the planet Venus. The Haab was the solar calendar with 365 days. It consisted of 18 months of 20 days each, followed by 5 extra days, which were considered unlucky and known as Wayeb. The Long Count was a non-repeating calendar representing the number of days since the start of the Maya era. The right-most position counts single days, the next position is a block of 20; the next is a block of 18 to make the calendar match the approximate 360 days length of a year; the remaining positions follow their vigesimal number system. The Maya made meticulous observations of celestial bodies, recording astronomical data on the movements of the sun, moon, Venus and the stars. Although there were only 365 days in the Haab year, they were aware that a year is slightly longer than 365 days. The Maya calculated the length of the year to be 365.2420 days (actual approx value is 365.2422 days). This is more accurate than the value of 365.2425 which is used in the Gregorian calendar. The Maya were thus more closer than our present calendar. 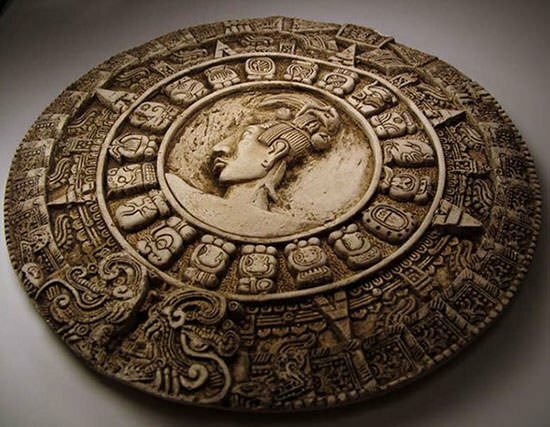 Maya astronomers calculated that 81 lunar months lasted 2392 days. This gives the length of the lunar month as 29.5308 days, remarkably close to the modern value of 29.53059 days. They measured the 584-day Venus cycle with an error of just two hours. The Maya also followed the movements of Jupiter, Mars and Mercury; and recorded astronomical data like eclipses. Maya astronomical knowledge was more accurate and far ahead of Europe. The Maya created a vast array of structures including palaces, acropolises, pyramids and astronomical observatories. Their advanced mathematical system allowed the Maya to implement designs which combined their astronomical skills with engineering. El Castillo or the Pyramid of Kukulkan at Chichen Itza is one of the most famous Maya structures. Its 365 steps equal the number of days in their solar calender and 52 panels on each side represent their 52 year Calendar Round. 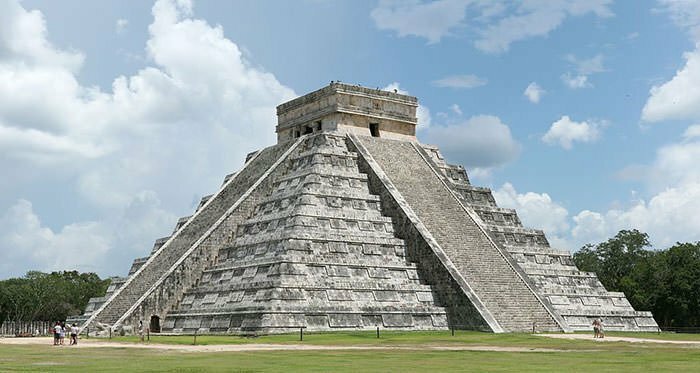 Its most famous feature is that during the two equinoxes, the sun casts a series of triangular shadows against the north-west balustrade, creating a display of a feathered serpent “crawling” down the steps of the pyramid. This phenomena is intended to be the manifestation of their deity Kulkulkan, the feathered serpent. Another famous Maya structure at Chichen Itza is El Caracol. Three irregular openings survive at its high tower which are irregularly placed but can be used as important astronomical sight lines. Of the 29 astronomical events believed to be of interest to the Maya, sight lines for 20 can be found in this astronomical observatory. The first Maya cities developed around 750 BC and during the Classic Period (250 – 900 AD) their largest cities had populations numbering 50,000 to 120,000. The centers of all Maya cities featured large plazas; and their most valued governmental and religious buildings such as the royal acropolis and great pyramid temples. 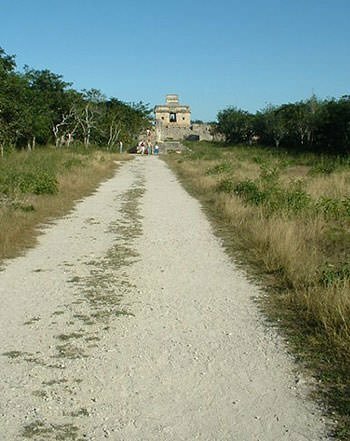 One of the most striking feature of Maya settlements were elevated limestone roads known as sacbeob (singular sacbe) or “white roads”. Solidly built to withstand the forces of nature, sacbeob often charted a course in remarkably perfect strait lines despite the rough terrain. The most famous sacbe network is found in the Maya city of Coba. It contains roads which are 10 to 30 feet wide and elevated from about 1.5 feet to 8 feet above the forest floor. The longest known Maya sacbe runs 60 miles (97kms) and connects the ancient cities of Coba and Yaxuna. This strait as an arrow road is considered an astounding feat of engineering. Palenque was a Maya city much smaller in size compared to huge sites like Tikal and Chichen Itza. But some of the finest Maya engineering feats were accomplished here. Known as Lakamha (Great Water), Palenque has 9 perennial waterways and 56 springs. 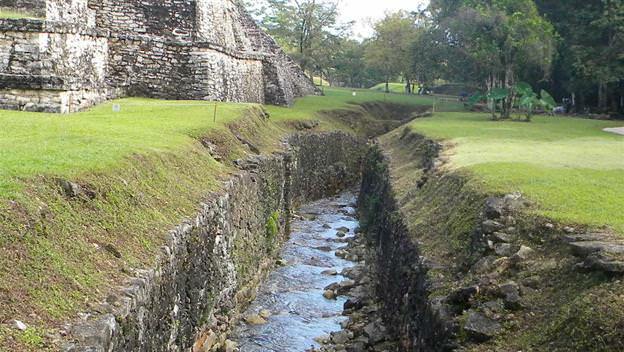 To deal with the challenge of over-abundance of water, Palenque engineers constructed elaborate subterranean aqueducts that channeled the water underground thus saving more land on top for cultivation. These include the Piedras Bolas aqueduct, in which the elevation drops about 20 feet and the cross section decreases from 10 square feet near the feeding spring to a half square foot where the water emerges. The combination of gravity and sudden constriction creates water pressure in the aqueduct, enough to shoot water upwards to a height of 20 feet. Created during the Classic Maya period, the Piedras Bolas aqueduct is the earliest known example of engineered water pressure in the New World. The water pressure may have been used for providing running water to the palace and other buildings. Initially the Maya probably spoke a single language, called proto-Mayan by linguists. Proto-Mayan is thought to have been spoken at least 5,000 years ago. During the Preclassic period (2000 BC – 250 AD), proto-Mayan diverged to form the major Mayan language groups which later further diverged to form over 30 languages that have survived into modern times and are still spoken by at least 6 million Maya people. The writing system of the Maya civilization, known as the Maya script, is believed to be the only complete writing system in Mesoamerica, i.e. they could write everything they could say. According to current data, the earliest inscriptions found which are identifiably Maya date to 3rd century BCE. This would make the Maya the inventors of writing in Mesoamerica. This would also make the Maya one of three known civilizations where writing developed independently, the others being China and Mesopotamia. The Maya developed highly sophisticated artforms. They created art in a variety of materials, including wood, jade, obsidian, ceramics, sculpted stone monuments, stucco and finely painted murals. Wood carving is believed to have been common but only a few artifacts survive. Stone stelae are widespread at Maya sites. 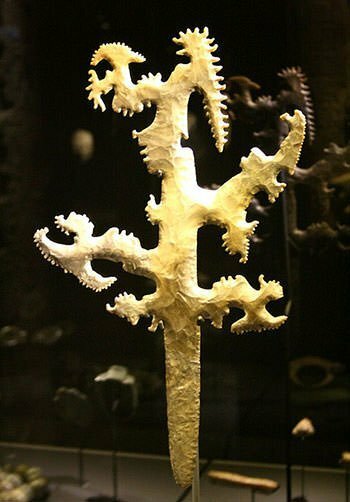 The most famous among them, from Copan and Quirigua, are outstanding for their intricateness of detail. The cities of Palenque and Yaxchilan are famous for their decorative lintels including the renowned Yaxchilan Lintel 24. Several Maya stairways have been decorated with a great variety of scenes, like at Tonina. Zoomorphs are large boulders sculpted to resemble living creatures. Maya Zoomorphs are highly complicated relief ornamentation, especially those at Quirigua. The Maya had a long tradition of mural painting, dating to between 300 and 200 BC. Among the best preserved Maya murals is a full-size series of paintings at Bonampak. The Maya also created an elite chipped artifact known as eccentric flint, which are technically very challenging to produce. The Maya had diverse and sophisticated methods of agriculture. These included slash-and-burn technique of shifting cultivation; raised fields, terracing, intensive gardening, forest gardens and managed fallows. The basic staples of the Maya diet were maize, beans and squashes. Other crops cultivated include amaranth, chili peppers, sweet potatoes, manioc, tobacco and chaya, cotton, cacao and vanilla. Cacao was used to produce chocolate beverages as far back as 500 BC; and cotton was spun, dyed and woven into valuable textiles in order to be traded. The Maya took the latex from rubber trees and mixed it with juice from morning glory vines to produce rubber. Earliest use of rubber in Mesoamerica has been dated to 1600 BCE, several millennia before vulcanization was developed in the 19th century. 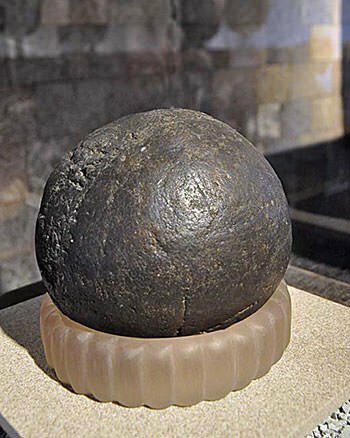 The Maya, like several other Mesoamerican cultures, used bouncy rubber balls to play the famous Mesoamerican Ballgame. The Maya city state of Yaxchilan was founded in fourth century AD and with time it became a major Maya kingdom which challenged Palenque in the region. It is located on the bank of the Usumacinta River in present day Chiapas, Mexico. The Usumacinta River flooded for six months during the rainy season and isolated the city from access to its domain across the river. In order to survive as a viable urban center, Yaxchilan required a dependable year-round way to cross the river. It has been speculated that Maya engineers of Yaxchilan constructed a more than 100m long suspension bridge across the Usumacinta River in the 7th century. If true, the 62m (203ft) center span of the Maya Bridge at Yaxchilan remained the longest in the world until the construction of the Italian Trezzo sull’Adda Bridge in 1377. Engineer James A O’Kon carried out forensic engineering investigations, remote sensing and computer remodelling to digitally re-construct this bridge. The results were published in the pages of National Geographic magazine in 1995. Thank you for this article, Anirudh! I used as a resource for an assignment and it was extremely helpful and informal. Hi Mia, thanks for the appreciation. Great that it helped you with your assignment. Good information. Thank you Learnodo. Have you heard of the new Maya discoveries found in Guatemala; using LIDAR technology? Apparently, the Maya cities and areas were much, much larger than once thought. There is an estimate of between 10 and 15 million living in that one area, which can be described as a metropolis. Truly amazing! Good piece of information.thanks a lot,it was helpful in my research. On number five you wrote it’s 365 steps and said that it has 52 panels. WHich one were you talking about? El Castillo has four stairways having 91 steps each; add the top platform and the total is 365, the number of days in the year. On each facade of the pyramid are 52 flat panels, which equal the 52 years in the Maya calendar round. Hope that helps. What would they use for numbers higher than 19 or are those just the simpler numbers?